Kitchen Connection’s first official ‘Kitchen Connection’ was in October between NYC and Paris. It was a major milestone for the site and for the community. The event included the first live interaction before the community’s close partners and founders. Our star cheffie, Claude Godard, hosted the connection. Here is his feedback. In three words, how would you describe your first live “Kitchen Connection” session? This moment was crazy. To be connected with NYC from Paris by a cooking experience is, of course, unexpected but also very extraordinary. The geographical distance is completely put down thanks to Kitchen Connection. Where there any unexpected difficulties? Everything was very easy. The chef was very comprehensive and very open-minded. If any tools were needed, the chef adjusted everything for us to make it easy to follow the recipe. Was there any trouble in communicating how a part of the dish was to be prepared? Not at all. The chef taught us everything while speaking. He answered all of our questions very precisely and very carefully. It was a great moment of sharing values and “savoir-faire”. What feeling were you left with after the connection ended? We were grateful to be involved in such project. By the way, we didn’t know where we where. Paris? NYC? Elsewhere? In fact, thanks to Kitchen Connection, it didn’t matter. Of course, we were very hungry in front of these tasty dishes!! Would you do another connection? Absolutely! Such an experience needs to be done again! Now, we want to make new friends all over the world, new tastes and new experiences. 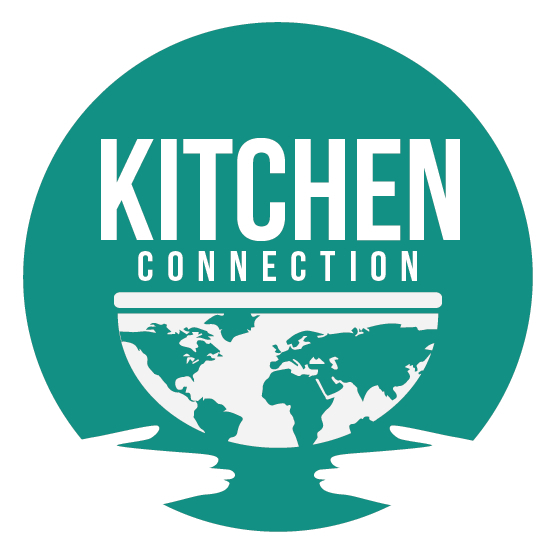 Kitchen Connection brings the world to us, at home! It is probably the best way to build a new world based on sharing and friendships. Would you recommend this to fellow foodies? Of course, we do and it’s already done! It’s time to travel all over the world without leaving your house. Kitchen Connection is an amazing way to discover other cultures, other people and other tastes without limits and borders. Probably the future for a world where sustainable development needs to be our first aim. With this programme, you can help people to eat somewhere else, but you also limit your travel-time and, therefore, your carbon emissions! Who do you see as the ideal target audience for a Kitchen Connection cooking class? Is there an ideal target audience for Kitchen Connection? Everyone can be involved. Is that not the very first goal of the programme? Everything is so easy that everyone can follow a Kitchen Connection anywhere in the world. That’s the force of Kitchen Connection and that’s what is interesting about it. Foodies and cheffies both can be satisfied! What makes cooking special to you? We are French. For us, cooking is part of our life and daily routine. Anyway, cooking is a way for us to share nice moments together by discovering tastes and by experiencing other recipes. How do you feel about the idea that food can connect the world? It is very interesting! Differences do not matter. Everyone needs food. So everyone in the world can share something thanks to food. Food can be a link between people. It is probably one of the best ways to create meetings that would never happen. Thanks to food, the world can be united and people can meet to each other, giving up all the clichés. Based on your experience with the live session, what would you say to a friend or a stranger to explain Kitchen Connection to them? And to convince them to join the site? Getting a private cooking lesson halfway around the world isn’t exciting? We guess this is the best argument to give to people to convince them. The perspective to be linked to the world thanks to a great moment of cooking and eating is very rare to find. Thanks to Kitchen Connection, it is very easy now. Why do without? Finally, the best way to convince people is to get them to test it! Try it – it’s easy to adopt !